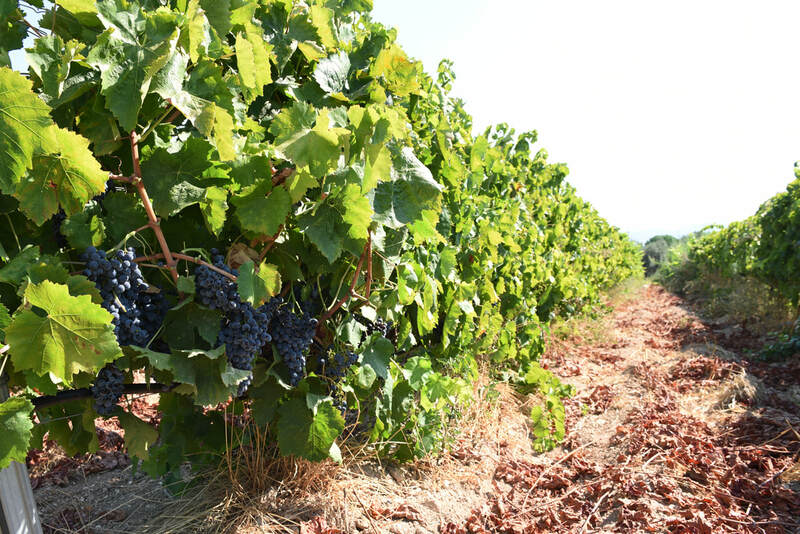 Close to Ragusa, in southeastern Sicily, the Gurrieri vineyard is perched within the Vittoria D.O.C. zone — this is an estate that has been farming and making exceptional wines, on their family property, for three generations. With 18 hectares of fruit split between the extremely fertile areas of Mount Iblei and the Noto Valley, Giovanni Gurrieri continued the dream started by his father and grandfather, and opened the winery in 1997. Also dedicated to table grape production, the estate is certified organic, as the concept at the winery has always been to produce grapes and wines that can express the quality and character of the vineyard in complete harmony with nature. The Hyblaean Mountains are nearby, where the soils are rich with clay, plenty of red sand, and limestone — combine this with the breezy Mediterranean climate and you get Frappato and Nero d’Avola with gorgeous freshness. From a hand-harvest to little to no oak use, the final juice has seen no intervention, keeping the finished wines expressive, fresh, and full of dynamic character.